1. Payment: A deposit payment of 50% of the lodging total is due at time of booking. Prices and room availability are not guaranteed until the deposit is paid. The remaining 50% balance payment is automatically charged to the same credit card 60 days prior to the Arrival Date. Reservations made fewer than 60 days prior to Arrival Date require payment of lodging total at the time of booking. If all Balance Due payments are not received by the due dates, this reservation will be considered cancelled under the terms and conditions provided herein and are subject to the Cancellation Policy. 2. Confirmation: We email the guest a short confirmation message after the deposit payment is made. And we email the guest a final confirmation message after the balance payment is charged. The final confirmation message includes detailed directions, check-in instructions, Wi-Fi password, and information regarding discount equipment rentals, and parking. 3. Cancellation and Refund: If Guest sends Manager a cancellation in writing (via email) at least 60 days prior to reservation Arrival Date, Manager will issue a refund of payments made, minus a $100 cancellation fee. If Manager receives cancellation fewer than 60 days prior to reservation Arrival Date, Manager will not issue a refund of any amount. There are absolutely NO exceptions to the cancellation policy. Unused nights caused by early departure, and/or a reduction in nights, for any reason, are considered cancellations. Manager does not issue refunds for cancellations made fewer than 60 days prior to reservation Arrival Date, regardless of the reason. Please refer to Cancellation and Refund policy - #3 above. 5. Damage Deposit: Guest authorizes Manager to use Damage Deposit to pay for any damages or negligent loss to the contents of the Property, not associated with normal wear and tear, and to pay for any violations to our Policies and/or Rental Agreement, including our No-Smoking policy and Pet Policy. An inventory of all items is performed before and after each Guest stay, and inspection of the Property after Guest departure will determine the cost of repairs/replacement, if any. The most common reasons for Manager to keep all or part of the Damage Deposit are: ruined bath towels and wash cloths, broken items, major stains and spills on the carpet, ruined bedding, failure to follow departure instructions (taking out trash, loading and starting dishwasher and leaving all keys and parking passes in the condo), unapproved early check-in/late check-out, bringing a pet into a no-pet condo, bringing a pet into a pet-friendly condo without reporting the pet nor paying the pet fee, leaving the condo in excessively messy condition. These examples are not an all-inclusive list of reasons for withholding a Damage Deposit, but are some of the most common reasons. Manager has complete discretion on whether to withhold Damage Deposit or refund it. Guest understands that the Damage Deposit in no way limits liability and Guest accepts responsibility for any damages in excess of the Damage Deposit. If Property suffers no damage or loss, the Damage Deposit hold will be released within 7 days of Departure Date. 6. Check-In/Check-Out: The Property will be available beginning at 4:00pm on the Arrival Date, and must be vacated by 10:00am on the Departure Date. Guests who do not check out by 10:00am on the Departure Date are subject to late check-out fees and/or an additional night's rental. 7. Early Check-In/Late Check-Out: Early check-in and late check-out is not available. 8. 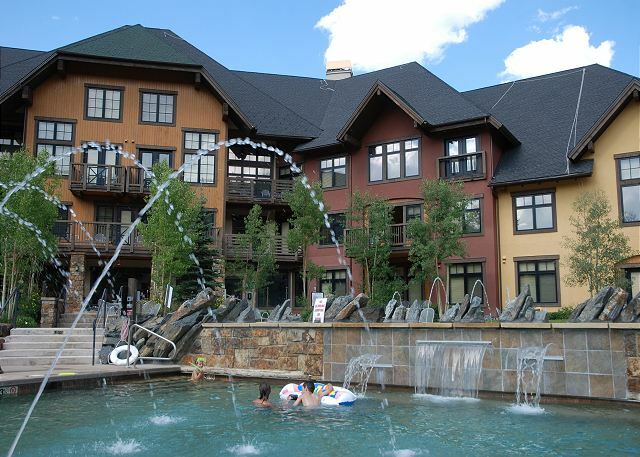 Pets: Copper Colorado Condos has a small number of pet-friendly condos. Please browse our rentals or contact us to see if pets are allowed. Pet Policies are decided by the covenants of each building’s Homeowner’s Association, not Copper Colorado Condos. Housing of pets in buildings or condos where pets are not allowed will result in eviction and forfeiture of all monies paid, and an additional charge of $300 per pet. 9. Smoking: Smoking of any substance is not permitted at any of our Properties. Guests violating the No-Smoking Policy will be charged a minimum fee of $200, and will be evicted immediately with no refund. 10. Parking: Our guests will receive one parking permit. Some Properties allow parking for two vehicles. Please contact us for more information on parking. 11. Age Requirement: We require all guests to be 21 years of age or older, unless accompanied by a parent or guardian. Guests in violation of the Age Requirement will be evicted immediately with no refund. 12. Trash Removal: As our guest, you agree to take all garbage to the on-site trash chute or dumpster prior to departure. Failure to remove trash from the condo before Departure will result in a fee (taken from your Damage Deposit). 13. Keys: As our guest, you agree to leave all keys and parking passes in the Property prior to departure. We charge a $50 fee (taken from your Damage Deposit) for each missing key and/or parking pass. 14. Hot Tubs, Pools & Amenities: Guests use amenities at their own risk; please consult your doctor before entering a hot tub, pool or fitness center. There are times when hot tubs, pools and amenities are closed for cleaning, maintenance and repairs. We provide no refunds for inconveniences experienced by our guests due to circumstances beyond our control, including, but not limited to, unavailable amenities such as hot tubs, pools, fitness rooms and saunas. 15. Housekeeping: Prior to your arrival, your vacation condo is cleaned and furnished with fresh linens, towels and supplies. Daily housekeeping is not included, but is available upon request for an additional fee. Please call Housekeeping (970-485-1046). 16. Left Items: We are not responsible for the loss of money, jewelry, or valuables of any kind. All items left behind by any and all guests are the sole responsibility of the guest. If you feel that you may have left an item behind, please contact us and we will look for your item. 17. House Rules: Guest will abide by all applicable governmental laws and regulations during use of Property. Guest agrees to indemnify and hold the Manager harmless from all liability, loss or damage arising from any nuisance or harm made or suffered on the Property by the Guest's tenants, the Guests, or from any carelessness, neglect or improper conduct of any persons entering, occupying or visiting the Property. 18. Unavailability of Property: In the rare event that the Property is unavailable for any reason beyond the control of the Manager (including, without limitation, acts of God such as fire, water damage or natural disaster), and if the Manager cannot secure comparable Property for the Guest, the Manager shall refund 100% of the Lodging Total to the Guest, and this Agreement will thereupon be deemed terminated. Manager’s liability to the Guest is limited to the lodging total amount paid by the guest, under any and all circumstances. 19. Disputes: Any dispute relating to this Agreement shall be subject to the exclusive jurisdiction of the courts of Summit County, State of Colorado, and shall be governed by Colorado law. If the Manager hires legal counsel to enforce the terms of this Agreement or to resolve any dispute under this Agreement, the Guest shall be liable for all attorney’s fees and costs incurred by the Manager. 20. Credit Card Agreement: Guest provides Guest’s credit card number as a guarantee of payment to Manager. Guest agrees to pay all rent and charges related to Property rental. Guest accepts all terms of this Rental Agreement & Policies, and accepts all liability for rent and charges related to Property rental, as well as any damage beyond normal wear and tear during the term of this Rental Agreement. Guest understands that these costs will be charged to Guest’s credit card. Guest authorizes Manager to charge Guest’s credit card for payment of these items. This Rental Agreement remains valid and binding regardless of changes made to the reservation including, but not limited to, date of Arrival or Departure, and/or relocation to another property. Please contact us if you have any questions about our Terms & Conditions.